Welcome to the Dolphin Hotel & Restaurant, offering luxurious hotel accommodation on the beautiful island of Inishbofin, off the west coast of Ireland. 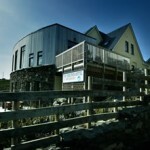 The Dolphin Hotel is an ideal base to relax and enjoy excellent fresh seafood in our award-winning restaurant. Families welcome.